Located in Panama City Beach, Ocean Breeze By The Sea is on the Strip, within a 5-minute drive of Shipwreck Island Waterpark and Ripley's Believe It or Not. This hotel is 1 mi (1.7 km) from WonderWorks and 1.1 mi (1.8 km) from Coconut Creek Family Fun Park. When you stay at Aqua View Motel in Panama City Beach, you'll be near the beach, within a 10-minute drive of St. Andrews State Park and Ripley's Believe It or Not. 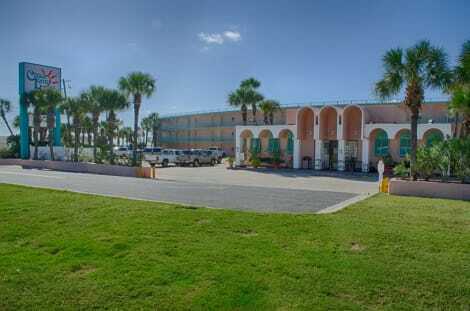 This motel is 6.1 mi (9.7 km) from Shipwreck Island Waterpark and 11.3 mi (18.1 km) from Pier Park. Make yourself at home in one of the 9 individually decorated guestrooms, featuring microwaves and flat-screen televisions. Rooms have private furnished balconies. Complimentary wireless Internet access keeps you connected, and cable programming is available for your entertainment. Bathrooms have shower/tub combinations and complimentary toiletries. At Palm Grove, enjoy a satisfying meal at the restaurant. Take advantage of recreation opportunities such as an indoor pool, or other amenities including an arcade/game room and a picnic area. 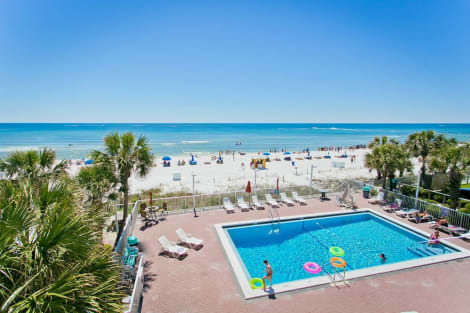 With a stay at Casa Loma Inn in Panama City Beach (Open Sands), you'll be a 4-minute drive from Shipwreck Island Waterpark and 9 minutes from Pier Park. This beach motel is 3.4 mi (5.4 km) from Ripley's Believe It or Not and 3.4 mi (5.4 km) from WonderWorks. lastminute.com has a fantastic range of hotels in Panama City Beach, with everything from cheap hotels to luxurious five star accommodation available. 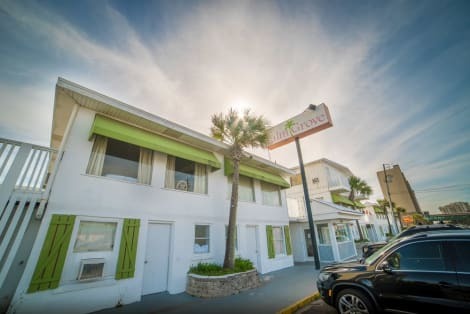 We like to live up to our last minute name so remember you can book any one of our excellent Panama City Beach hotels up until midnight and stay the same night.